A major reimagining of how evolutionary forces work, revealing how mating preferences–what Darwin termed “the taste for the beautiful”–create the extraordinary range of ornament in the animal world. In the great halls of science, dogma holds that Darwin’s theory of natural selection explains every branch on the tree of life: which species thrive, which wither away to extinction, and what features each evolves. But can adaptation by natural selection really account for everything we see in nature? 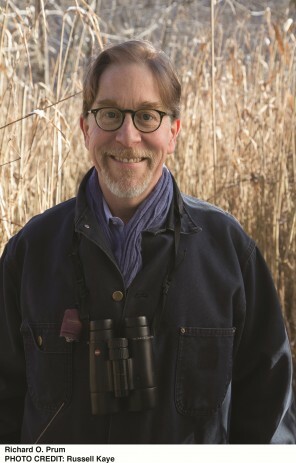 Yale University ornithologist Richard Prum–reviving Darwin’s own views–thinks not. Deep in tropical jungles around the world are birds with a dizzying array of appearances and mating displays: Club-winged Manakins who sing with their wings, Great Argus Pheasants who dazzle prospective mates with a four-foot-wide cone of feathers covered in golden 3D spheres, Red-capped Manakins who moonwalk. In thirty years of fieldwork, Prum has seen numerous display traits that seem disconnected from, if not outright contrary to, selection for individual survival. To explain this, he dusts off Darwin’s long-neglected theory of sexual selection in which the act of choosing a mate for purely aesthetic reasons–for the mere pleasure of it–is an independent engine of evolutionary change. “The Evolution of Beauty” presents a unique scientific vision for how nature’s splendor contributes to a more complete understanding of evolution and of ourselves.